After reading Salvation Reach and Brothers of the Snake, which featured Space Marines from the Iron Snakes Chapter of Ithaka, I found myself warming up to the idea of Space Marines. Well, it's not the first time...you probably already know I'm a fan of the Thousand Sons Legion in the Horus Heresy series, have devoured the Ahriman Collection (can't wait to read War of the Fang), and even World Engine, which is an awesome book that features the Astral Knights smashing into the Necrons' World Engine and blowing stuff up to save the Imperium. Not only that, we have Cadians fighting alongside Raven Guard in Cadian Blood by Aaron Dembski-Bowden and the 44th Cadian Regiment supporting the Primaris Ultramarines in Crusade by Andy Clark, and even the Cadian regiments in the Sanctus Reach campaign fighting alongside Space Wolves. But most of all, it was gratifying to read about the Guardsmen and normal humans' reactions to the presence of Space Marines in the Gaunt's Ghosts series, especially in Salvation Reach. Dan Abnett is an awesome writer. Oh, and did I mention Commissar Ciaphas Cain and his history with the Reclaimers Space Marine Chapter? It is these stories that led me to experiment fielding my Astra Militarum force alongside a Space Marine Chapter. But I decided not to go with the vanilla Marines or even one of the original Space Marine Legions (not a big fan of Dark Angels, Blood Angels or Space Wolves). Instead, I was more invested in the psychic Grey Knights (partly because of my Thousand Sons fanboyism) and the cool and black Deathwatch. 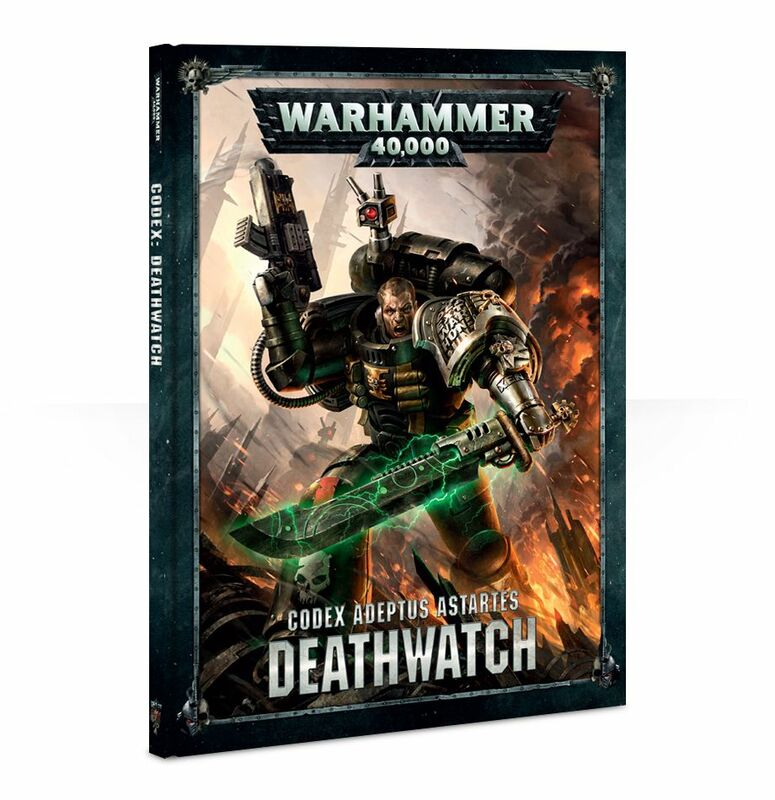 In fact, I first knew about Deathwatch because of Ciaphas Cain. Yeah, good old Ciaphas just pops up everywhere in whatever I read. Anyway, Ciaphas Cain stumbles upon a Necron tomb world, and Inquisitor Amberly Vail of the Ordo Xenos dispatches a Deathwatch Kill-team to slay the Necrons. That was the first time I had ever heard of Deathwatch. A tiny mention in a Ciaphas Cain novel. To be fair, that was also the first time I've heard of the Adeptus Mechanicus and Skitarii (Cogboys!) - I also read about them in the Ciaphas Cain novels, what with their hellguns (oh, gosh, the Ciaphas Cain novels are so old...coming out like way before the Adeptus Mechanicus codexes in 2015 and 2018!). ...this is just turning into an Imperial Guard rant, isn't it? Well, to be fair, this is an Astra Militarum blog. Astra Militarum is my primary army. Actually, the Imperial Knights are supposed to be my primary faction, but somehow I invest a lot more time and money in Imperial Guard. Thank Ciaphas Cain and the Cadians for that. So what does Deathwatch have to do with anything? Thanks to Salvation Reach, I couldn't help thinking about fielding a "small" Space Marine force alongside my Imperial Guard. After all, the Adeptus Astartes rarely fight alone, often reinforced by the innumerable hordes and armored tanks of the Astra Militarum. This idea was further reinforced when I read how the Cadians struggled with their Chimera APCs and Leman Russ tanks against the Death Guard, only to be reinforced by the Primaris Marines from the Ultramarines Chapter. The Primaris Space Marines are a new...thing, which is kind of cool. They are lackluster in the vanilla codex, and even in the other "special" legions such as Dark Angels and Blood Angels. 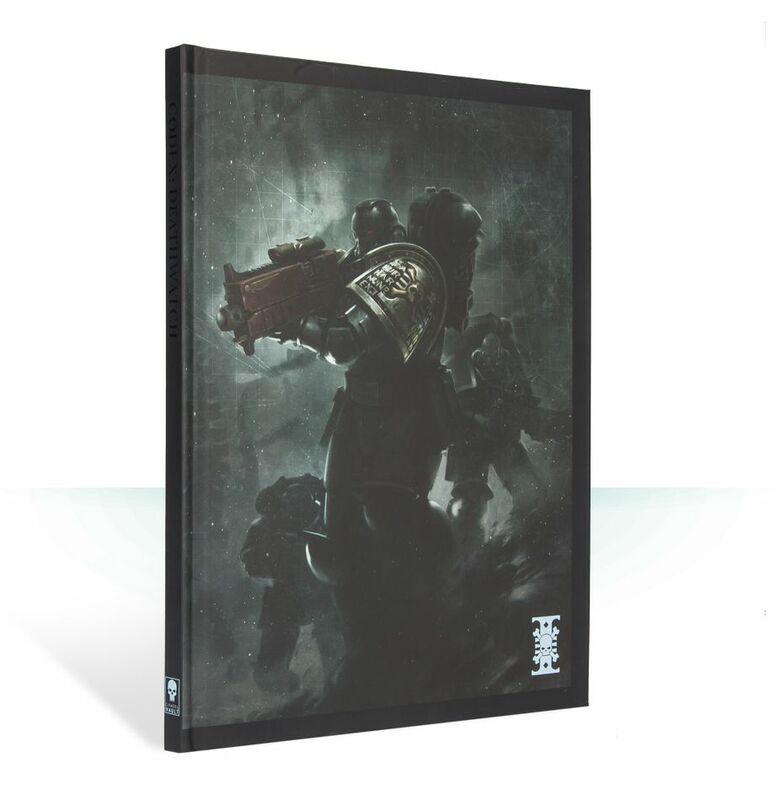 But they really come into their own and shine brightly in Codex: Deathwatch. So I'm picturing a scenario of how my Draconian Armored Defenders and Kamikaze Storm Troopers fight alongside a small company of Space Marines...specifically Primaris Marines from the Deathwatch. 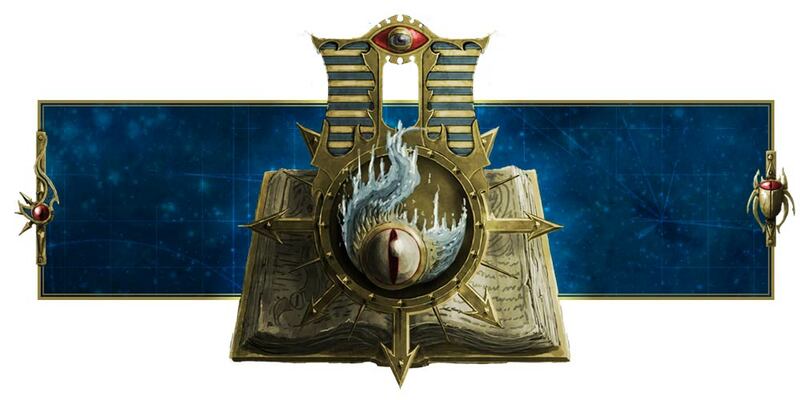 Apparently, while we had the Ultima Founding where whole chapters of Primaris Space Marines were created, we also had the Ultimaris Decree, where Roboute Guilliman seconded whole Chapters of Primaris Space Marines to the Deathwatch. I am unsure if this is explored in great detail in the fluff (and I mean novels, not just codex fluff). So I was going to explore the idea of one single Chapter, the Death Reapers - known as Shinigami to the Draconian Armored Defenders and Kamikaze Storm Troopers (and to the Draconian civilians and nobles in general, including Knight pilots). So maybe they have a Watch Fortress on Draconis VIII. The whole Death Reapers Chapter is seconded to the Deathwatch, where they essentially form a Deathwatch Chapter by themselves or something. I dunno. And when the Astra Militarum forces of the Draconian system find themselves overwhelmed by xenos (such as endless hordes of Tyranids, violent Orks, crafty Aeldari or deadly Necrons), they call upon the Death Reapers for help. The Death Reapers, who get their special issue ammunition, weapons and hi-tech toys from the forge world of Draconis IV, swoop in with surgical precision and take off the head of the xenos incursion, allowing the massed ranks of the Astra Militarum to deal the finishing blow with sheer firepower. Scalpel and hammer of the Emperor indeed. One idea is for the Draconian system to be the bastion for a Crusade in a cluster of systems called the Abyss Stars. I'm still unsure of the details, but perhaps there's a Necron awakening throughout the forge worlds in the Abyss worlds, and High Command has gathered and tasked the Astra Militarum to reclaim the Abyss worlds from the awakening Necrons. The noble Knight houses of Draconis III have pledged their allegiance and adhered to their oaths, and ride out to seek glory in the crusade, while the superhuman Astartes of the Death Reapers Chapter stand watch and intervene when necessary. Something like that. So how does this translate to the tabletop? Here's a 2,000-point list. Basically I'm throwing in a Battalion Detachment of Primaris Deathwatch to help my armored company and Kamikaze Storm Troopers. 5 Intercessors with bolt rifles and bolt pistols (Sergeant with chainsword) with Hellfire/Vengeance Rounds, 5 Hellblasters with plasma incinerators and bolt pistols. Not only does this grant me 5 Command Points, it provides me tough, power armor bodies that can soak up lots of damage and can assault across the board. The Aggressors allow the Assault and Heavy Assault Kill Teams to Advane and still fire their assault weapons without penalty, and the Inceptors in the Heavy Assault Kill Team allow the dudes to Fly (basically fall back and then shoot). The Surgical Strike Kill Team is usually on reserve thanks to the Teleportarium Stratagem, and I'll Deep Strike them from the Teleporatrium Chamber (or from a Corvus Blackstar...except that Primaris Marines can't ride in a Corvus Blackstar...fail) to get within Rapid Fire range of an enemy I really, really want dead. This makes the -6" of the Vengeance rounds insignificant as I can just teleport them within rapid fire range with their bolt rifles (12" - still more than 9" away!). The Primaris Watch Captains are there to provide rerolls of 1s for the heavy amount of plasma weapons in this list, and for much-needed melee capability. So who do I ally in? The Primaris Deathwatch Battalion isn't the main force - they're a surgical tool used to strike at the head of the enemies and eliminate high value targets. I'm supposed to surround them with cheap hordes or armor. This is a mobile list, with the Aggressors allowing my Kill Teams to Advance and fire with their assault weapons without penalty. So I would want the other half of my list to be a static gunline. Thus...my Draconian tanks and heavy weapon squads come in. My Warlord is still an Astra Militarum Company Commander...he's there to give me refunds on Command Points and a 1/3 chance of getting bonus Command Points whenever my opponent uses a Stratagem. My 2 Leman Russ tanks have Objective Secured and lots of plasma potential. With the Cadian regimental doctrine of re-rolling 1s if they stay still, I can supercharge my plasma. This list is meant to be a static gunline. All hail plasma! Yeah, you're noticing a theme, aren't you? All nothing but plasma, plasma and more plasma! But where are the bodies? Where are the hordes? The infantry? The hot-shot volley gun squad will stay with my static gunline to screen or protect my tanks. Since hot-shot volley guns are heavy, I would prefer if they stay still and not move...which fits the static gunline theme. As for the others, they can Deep Strike, and with orders from the Tempestor Prime, they will unload their plasma weaponry into whatever needs killing or capture Objectives in the opponent's deployment zone. Oh, wow. The whole list is built around plasma, plasma and more plasma. This is also a very fluffy list. Death Reapers and Draconians all armed with the plasma weaponry from the forge world Draconis IV, working together and coordinating battle plans - the armored might and overwhelming firepower of the Astra Militarum paired with the small, elite and highly mobile forces of the Adeptus Astartes who deliver precise surgical strikes along with the flexible and aggressive Storm Troopers of the Militarum Tempestus. What could go wrong? Well, since I have to save money for my Imperial Knights, I don't think I will be working on this Deathwatch or Death Reaper Chapter project for a very long time...maybe December at the earliest. We'll see. I'm going to focus on Imperial Knights first, and depending on what the codex offers, I might just stick with the Knights I already have while buying only one Dominus-class Knight.